Read on to get a little glimpse into the lives of these amazing women and to find out all you need to know about the amazing natural beauty products we used to create their looks and scroll down for a little sneak peak BTS of Lee’s She’s A Natural shoot! An author, entrepreneur, whole foods chef, and wonderful mama, Lee Holmes could be mistaken for Wonder Women. Lee lives and breathes all things natural beauty - from what she puts into her body to all the things she puts onto it. She has published eight books (yes, eight!) 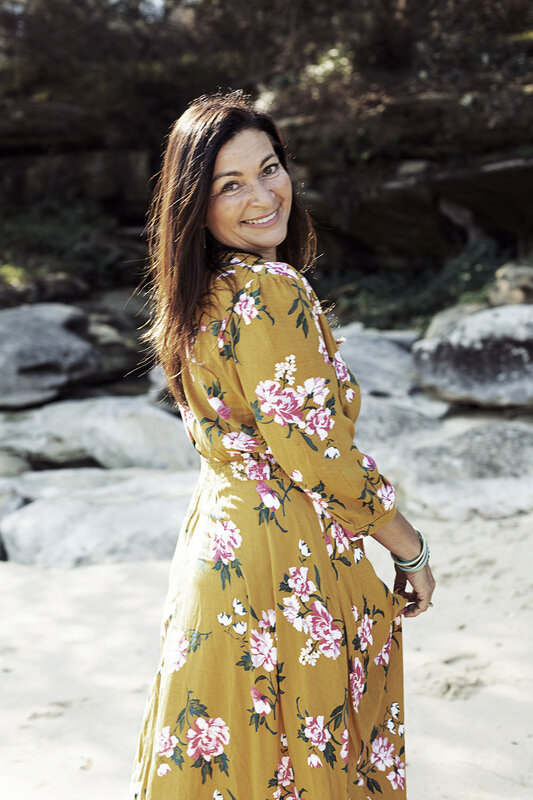 covering everything from gut health to Ayurveda, designed an incredible Love Your Gut Powder and continues to serve up delicious whole food delights during her time as a whole foods chef. To find out more about this incredible lady, visit her site HERE. That’s because this beauty exudes natural health and beauty in every way, even without the assistance of make-up. By looking after herself from the inside-out, Lee rocks naturally clear and glowing skin all year round!